Why the thick Thai menu of domain names doesn’t work. Are we selling domain names to customers the right way? On today’s show, Francesco Cetraro of .Cloud discusses the process of getting a domain name from the end user’s perspective, comparing it to presenting a thick menu at a Thai restaurant to someone who has never eaten that type fo food before. He also explains what .Cloud has done right and could have done better on its one year anniversary. Also: Major League Baseball, some recent domain sales and where’s RDNH? 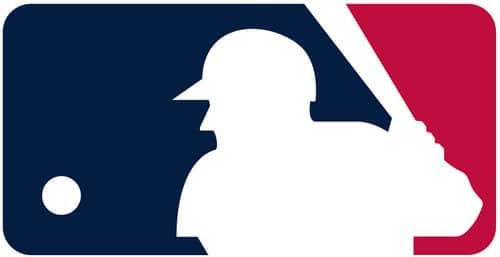 Major League Baseball adds one domain name to its collection, but three still elude it. DNJournal’s weekly domain name sales list includes Major League Baseball’s $375,000 purchase of Rangers.com, making it the 28th team name the league has acquired in .com. I’ve been watching MLB’s team names for a while as they’ve slowly tried to complete their collection. As of 2013 they were missing just four domain names. At the time, I said Rangers.com probably wasn’t obtainable because the owner, Future Media Architects, doesn’t sell domain names. But that changed last year. Future Media Architects started selling domain names, and MLB picked this domain name up right around the end of the year. Major League Baseball owns 26 of 30 team names in .com. Major League Baseball owns all but four team .com domain names. 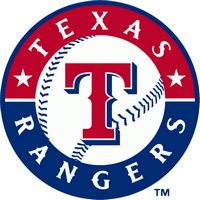 It’s a sure sign of spring as Major League Baseball opens up the 2013 season with 12 games today. MLB made a good acquisition over the summer, buying the domain name Rockies.com for an unspecified amount. With the Rockies.com domain, MLB now owns 26 of 30 team names in .com. MLB has upped its average from .767 in 2010 (23 names) to .867 (26 names) in 2013. Those are numbers even Miguel Cabrera would be proud of. Giants.com – you’ll find sports at Giants.com, but of the football variety. The domain is owned by the National Football League for the New York Giants. Rangers.com – The Rangers just can’t seem to win a World Series ring (queue David Freese homerun) and they also don’t have their prime domain. It’s owned by Future Media Architects, which doesn’t sell domains from its incredible portfolio. Rays.com – Instead of baseball stats, fans are greeted with mouth watering dishes at Rays.com. It’s owned by Seattle restaurant Ray’s Boathouse, Inc.
Twins.com – D&D Miller in California owns the domain. Of the four domains it doesn’t own, I’d argue Rays.com and Twins.com are the most obtainable. But it will be interesting to see how much MLB cares about these domains once it owns the .mlb domain name. Right now MLB uses team domains to forward to their respective team pages on MLB.com. When it gets .mlb will it start promoting rays.mlb? Maybe, although it could just as easily do that today with something like rays.mlb.com. So I think it will still care about its team.com domains. Major League Baseball is denying that it paid $1.2 million when it bought Rockies.com. That doesn’t surprise me. This week you may have wondered why I didn’t cover the purchase of Rockies.com by Major League Baseball. After all, I’ve chronicled MLB’s quest to acquire the domain names of each of its 30 teams. I believe I was also the first to write about Rockies.com going up for sale. Well, I believed half of it. Major League Baseball clearly bought the domain. But the $1.2 million price didn’t make sense. It didn’t make sense based on the history of MLB’s domain name acquisitions. I was also wary of the information because of some email conversations I had with a supposed journalist. MLB has purchased two team names in recent years for which we have some sort of idea of what it paid. One is Angels.com, which it bought in a public auction on Sedo for $200,000. The seller originally asked $300,000. The Los Angeles Angels baseball team responded by filing a UDRP (which it lost). The second is Athletics.com. It’s unclear how much the domain sold for, but MLB passed on buying it at an auction when the reserve price was $500,000-$750,000. It bought it later, so you can assume it paid less than $750,000 for the domain — and probably less than $500k. These two purchases show that MLB plays hardball when it comes to acquiring domains. It doesn’t jump in right away to buy a domain if it’s too expensive. So $1.2 million for Rockies.com? It’s plausible, but it set off alarm bells in my head. Did MLB just decide “to heck with it, we want to get the domain, let’s fork over seven figures?” Perhaps. But something was funny, especially because of details around the sales process of the domain. In July I received an email from a guy named Thomas who claimed to be a freelance writer doing work for MSNBC. He was inquiring about prices paid for MLB team domain names. I responded with some information and we exchanged a couple emails. Then in September Thomas emailed me again, informing me that he found out Rockies.com was going to be offered for sale. I didn’t understand why he couldn’t break the story, especially because he said he was now doing some work for the Denver Post. I googled his name and couldn’t find any of his writings. But the story that Rockies.com was for sale checked out. I was able to confirm this with someone with a Rockies.com email address. The deal was being brokered by an outfit called Venture Capital Group Ltd.
You can be forgiven if you’ve never heard of this broker. It registered its domain name using whois privacy in July 2012. It was registered just days after Thomas initially emailed me. The choice of broker was odd, but I figured it was just some sort of deal between the owner of Rockies.com and someone they knew. And my story — that Rockies.com was for sale — was true. So I ran with it. That was in September, and news of the domainer group that bought Cowboys.com turning it into a gay dating site was getting lots of media attention. Wow, this guy has a lot of scoop for a freelance reporter that for some reason can’t write about Rockies.com. That the Cowboys.com group would make an offer struck me as odd. The group of domainers that bought the domain includes a number of the biggest domain personalities. Its purchase was opportunistic. They don’t strike me as a business “group” other than this one domain purchase. But I checked with one of the Cowboys.com owners to see if it was true. He said it was false. Thomas, the persistent freelancer with a keen interest in the Rockies.com sale and a connection to a lawyer with insider knowledge, emailed me again on October 16 to ask “So did Cowboys.com people buy Rockies.com?”. That’s the last I heard from Thomas. I was rather suspect of who this guy was and what his motives were. And, other than his correct information about Rockies.com being for sale, he was now sharing bad information. The sellers of Rockies.com would certainly want MLB to think the domain was about to fall in the hands of a group that would turn it into a gay dating site. Which made me really suspicious. Thomas wanted me to write something, but he was tripped up when I tried to corroborate his story. On Tuesday, Venture Capital Group LTD posted a news item to its web site stating that Rockies.com was purchased by MLB $1.2 million. Shortly thereafter the same story (we’ll call it a press release) was published on GroundReport.com. The release stated that the seller would now use CanadianRockies.org as its domain name. Guess what the contact email is for CanadianRockies.org? My good friend the freelance journalist Thomas. Knowing what I knew, the first thing I did was email Major League Baseball’s VP of Corporate Communications, Matthew Gould. I called him as well. I also emailed Venture Capital Group Ltd, which told me they couldn’t provide any documentation but could get me in touch with the sellers. Gould has yet to respond to my email and phone inquiries, but he got in touch with the author of one story. Baseball America, one of the news outlets to cover the story, said it had heard from Gould. Gould denied the sales price. I’m going to trust that over a press release by a web site formed in July using whois privacy. It also gets interesting when you look at the web of sites related to CanadianRockies.org. I called the contact on the whois record that is supposedly in Florida. I was transferred to another person who said the person who had knowledge of the sale was out until Monday. Also interesting: when the whois privacy on Rockies.com was unmasked it showed a Costa Rican entity. The email address on the whois record had an email at rockiesmedia.com. However, I called the person in the whois for RockiesMedia.com and he said he hasn’t been involved with the domain name for a decade. We know MLB bought the domain name Rockies.com. We also have the buyer denying the price tag and citing confidentiality agreements for not disclosing the price. History tells us the domain probably sold for a lot less. The nagging questions: why did the seller quote an inaccurate price? What did they hope to gain? And how did they expect MLB to not go on record denying it?